Intrepid portfolio tasting at The Flying Winemaker! Azienda La Magia Brunello di Montalcino Dinner in Carnevino! Join us for an intimate dinner with La Magia wines, commented by Kevin Tang. Join us in celebrating the Tre Bicchieri wines at Gambero Rosso. We will be pouring the awarded wine from Carpineta Fontalpino, Dofana 2010. The wine was also awarded 92 points by Wine Spectator. Come and visit us at the Restaurant & Bar Show, booth G50. We will highlight some of our best sellers from Chiara Boschis, Ca du’Rabaja, Masut da Rive and La Magia and a brand new line of premium Romanian wines too! We will welcome you with a glass of Charles du Roy Brut NV Champagne. 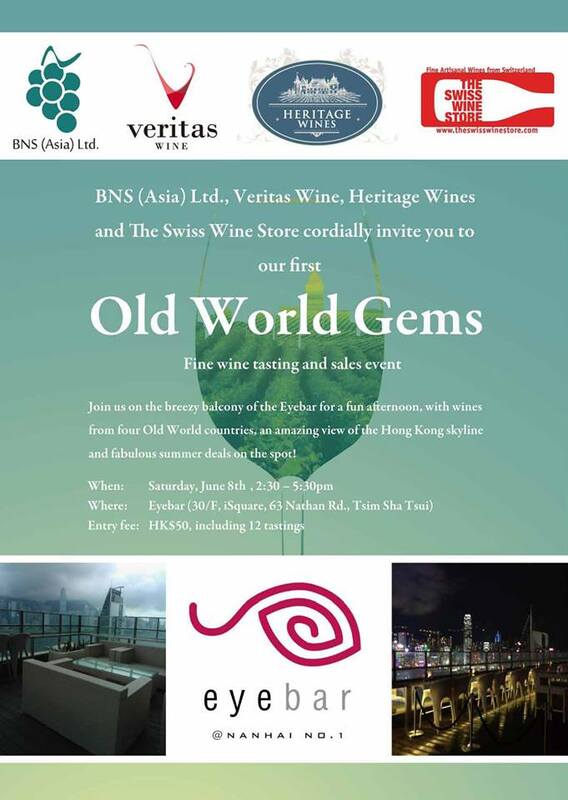 Join us at Eyebar for a fun afternoon, with summer style wines from four Old World countries, an amazing view of the Hong Kong skyline and fabulous summer discounts on the day! Our Chiara Boschis Barolo Vertical Dinner at Steik, on the 26th June is now sold out! For the first time in Hong Kong, the following Barolo wines will be served on the same occasion: Mosconi 2009, Via Nuova 2009, Cannubi 2009, Via Nuova 2008, Cannubi 2008, Cannubi 2005, Cannubi 2003 and Via Nuova 2001. Together with our friends from Veritas Wine, BNS and The Swiss Wine Store, we will present 6 of our most popular wines: Champagne Charles du Roy Brut NV, Chateau Lestrille Entre-deux-Mers, Vina Magna Crianza, Lorenzo Alutto Barbaresco Rabaja, Chiara Boschis Barbera Superiore, Carpineta Fontalpino Chianti Classico Riserva.